Heeft u een vraag voor Tasoh Lake Resort & Retreat? Tasoh Lake Resort & Retreat, gebouwd in 2008, is een aanwinst voor Tasoh Lake en een slimme keuze voor reizigers. Vanaf hier kunnen gasten genieten van eenvoudige toegang tot alles wat de levendige stad te bieden heeft. Dankzij de praktische locatie liggen alle belangrijke trekpleisters in de buurt van het hotel. De faciliteiten en diensten, geboden door het Tasoh Lake Resort & Retreat, garanderen een plezierig verblijf voor gasten. De topfaciliteiten van het hotel omvatten wi-fi in openbare ruimtes, parkeerplaats, familiekamer, restaurant, koffiebar. Hotelkamers zijn zorgvuldig ingericht om het hoogste niveau van comfort te bereiken, met airconditioning, bureau, minibar, balkon/terras, televisie in iedere kamer. Het hotel biedt fantastische faciliteiten, inclusief tuin, zodat u kunt onthaasten na een bezige dag in de stad. 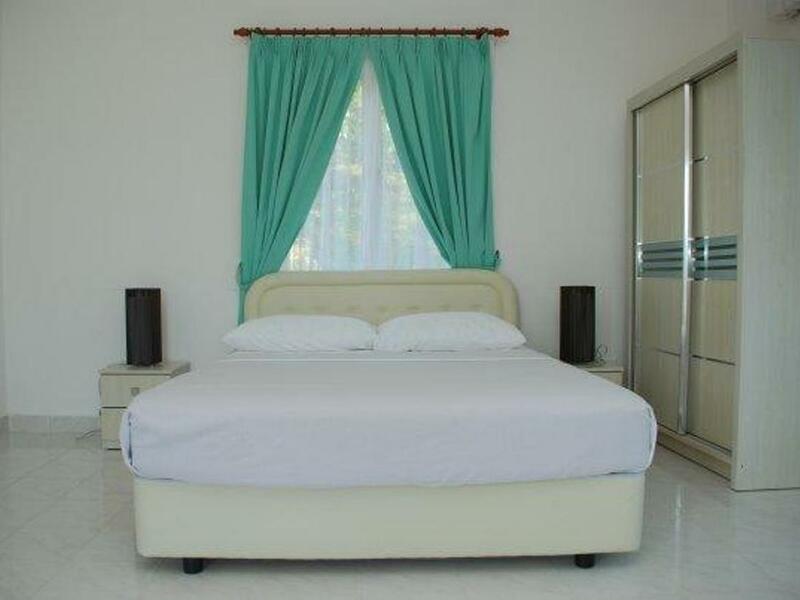 Als u zoekt naar comfort en gemak in Tasoh Lake, dan is het Tasoh Lake Resort & Retreat uw thuis ver weg van huis. If you want somewhere quiet and out of the way to relax than this is the place. We took our bbq and enjoyed the peace and quiet of the lake. The chalet was very comfortable and the setting is lovely. The place is popular with companies doing team building but we enjoyed reading and relaxing. When I asked about breakfast, I was told by the receptionist that meals are provided only for group check in, not for couples. The toilet in the room where I stayed (chalet 04) was smelly and water collects around a spot which is lower than the outlet hole. Otherwise the room has adequate amenities. The towels were dusty. Toilet was not dusty and full with webs. iron were spoilt and there were no basic kitchen utensils in their kitchenette. There were no telephone and in the case of emergency if you have no handphone or transport you are doomed! But then again its Padang Besar where you cant expect much so i guess this was the best among the worst. Nevertheless the management could have made the stay better by having good maintenance of the premise. The location is a bit remote from the main town so its best to bring or buy food before you check-in. It's a decent place to stay provided you need to be in this area. The front office guy was very accommodating and friendly. The room was ok. Quite large with working air-cond, fridge and hot shower. However, do bring supplies of food and drinks as there's no F&B in the resort. The nearest eating place is a few kilometres away. This is the place to stay if you need to be around this area and if you like nature. I'd come here again, but I'd come prepared next time. I'm booking 3 standard room for 2D1N. The room was so dirty. Full of ants! not only my room, but all of 3 rooms. it's unsafe for my children. Wifi only at reception area. The worst part is, i see snake. not only once but twice! poor maintenance. water pressure was very slow. not recommended hotel. They don't deserve to have even a single star! Just waste my money at all. the location was great, right on the lakeshore. staff were friendly and helpful. You must prepare your own food. There is no restaurant and food in the surrounding area. The apartment was comfortable and cosy. Basic amenities provided. Be prepared for lots of red ants. Availability of foods and drinks is questionable. Need to have own transportation. Really good place for relaxation and not having to do anything else. 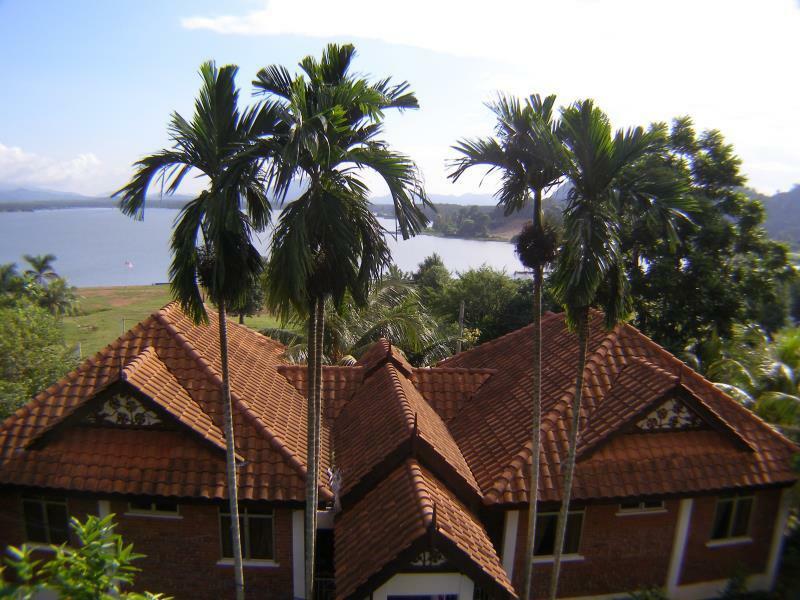 The view of the lake by the resort, the chirping birds, the green surroundings, the hills. After driving for more than 5 hours, I was pleasantly surprised when I reached the Resort. The main entrance is about 1km from the main road with the approach lined by trees and bush. I could glimpse a lake on my right as I drove towards the entrance. The Reception area is located on a small hill facing the lake I saw earlier. The heat of mid-day was tempered by the cool breeze coming from the direction of the lake. Throughout my stay, the peace and quiet made me feel relaxed and rejuvenated. However, I have to point out that it was the school holidays, so the Resort was full. Luckily, I was given 2 rooms at the far end of the Resort. Thus, any traffic and noise created by the large crowds were drowned out by the jungle just outside the rooms. I did not have any meals at the Resort because I felt it would be more worthwhile to try local cuisine at the nearby villages and towns instead. However, we bought some burgers and snacks to eat by the lake at night in one of the many huts provided. Another important point to mention is that there are bugs everywhere including in the rooms. But I find it acceptable as we were close to the jungle. All in all, it was a pleasant and relaxing stay for my family. The apartment is spacious.. The lake and mountain view is refreshing looking early morning..
Tempat yang menarik dikelilingi tasik yang tenang dan permai,sesuai bagi mereka yang hendak ketenangan dalam percutian,jauh dari hiruk pikuk,bunyi2 kenderaan dan pandangan yang selesa. Semuanya bagus. Cuma kebersihan Ada sedikit kurang memuaskan.